Arriva asked Durham County Council to bring the former bus stop in Hallgarth Street back into use. Controversial plans to shave just three minutes off bus journey times have been rejected over concerns about congestion and pollution. Transport giant Arriva had requested Durham County Council move a bus stop from Church Street to Hallgarth Street for services leaving Durham. Councillors rejected the application on the grounds of congestion and pollution. 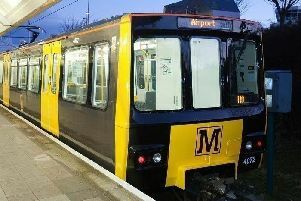 The company claimed this would improve the punctuality of services linking the city with Coxhoe, Hartlepool and Middlesbrough, including the 56, 57, 57A and X12. If approved it would have reopened a bus stop at the top of Hallgarth Street, near the Mountjoy Roundabout, which has not been used since the early 1990s. But yesterday’s meeting of the council’s Highways Committee heard the proposals had prompted complaints from nearby households. “There’s no demand from residents in this street for a bus stop, if there had been then my position may have been different,” Coun David Freeman, who represents the city’s Elvet and Gilesgate division, told the panel. Coun Stuart Dunn said he felt compelled to support the scheme. “The reason given by Arriva is the congestion in Church Street, the current route. “But I think as a council we should be trying to resolve the issues in Church Street, rather than spreading it to other streets. Coun Freeman’s Liberal Democrat colleague, Coun Richard Ormerod, accused the council of ‘lying down and rolling over for big business’ in backing Arriva’s request to move the bus stop. A report for councillors had recommended approving the plans, claiming they would ‘significantly improve punctuality’. It said pedestrians on Church Street hampered traffic at peak times, with more than 550 people using the road’s zebra crossing in one hour. Coun Stuart Dunn, who represents the Coxhoe division, said he felt compelled to support the scheme for the sake of his constituents who rely on the route. He said: “It would be better if we used a more strategic solution, such as putting sensors on buses and traffic lights so they can sense when a bus is coming [to improve traffic flow]. Dave Wafer, the county council’s strategic traffic manager, said ‘cutting [bus] routes was the starting point’ when Arriva first contacted the council about the service, before hitting on the idea of moving the bus stop. Responding to concerns about pollution, he argued the best way to curb emissions is to protect bus routes and encourage more travellers to use them. But councillors were not persuaded and voted instead to reject the application. Arriva has been contacted for comment.